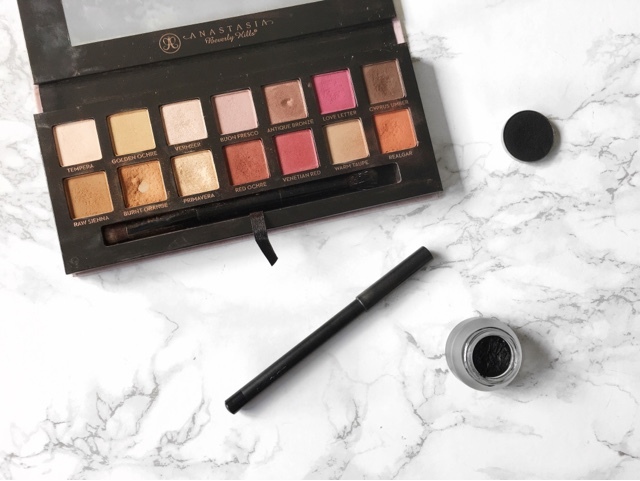 Anastasia Beverly Hills Modern Renaissance palette - Burnt Orange, Primavera and Cyprus Umber. This look was inspired by a particular photo on instagram from makeup artist Keilidh Cashell. I'd never tried anything like this before but I loved how effortless it looked on her so I decided to try it myself and let me tell you I didn't want to take it off. 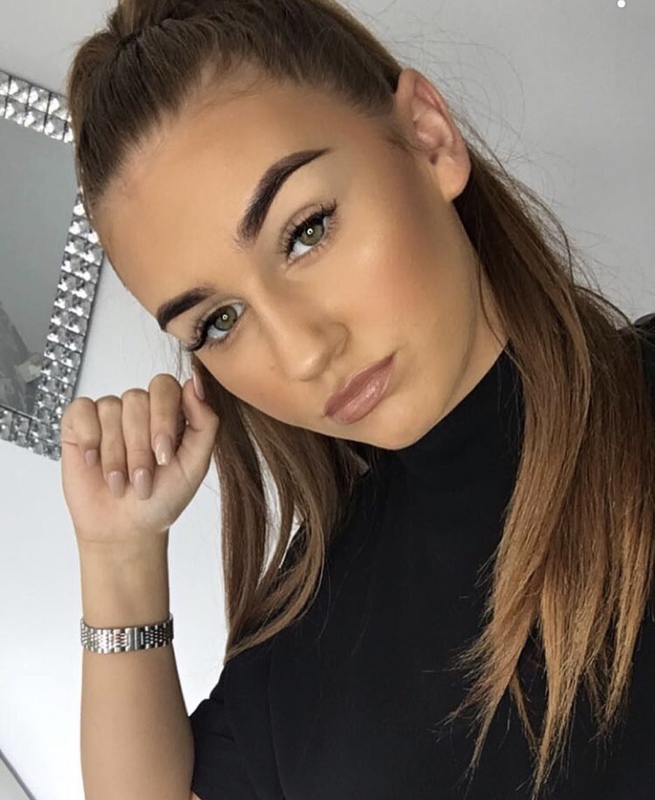 Using a MAC 224 brush I blended Burnt Orange from the Modern Renaissance palette into my crease and all over my lid, I also used a Morphe E17 brush to blend this shade on the lower lash line. I then used a MAC 219 brush to add the shade Primavera to the inner corner of my eye. Next I started on the smokey wing. I used Maybelline Gel Liner and a MAC 210 brush (the perfect combination) and did a normal wing making sure that I didn't take it too far out. I then used MAC Feline Eyeliner and lined my waterline. The next step is smoking out the wing which requires some patience. Using a MAC 211 brush and the shade Cyprus Umber I began Going over the edges of the wing creating a gradient. I also did this on the lower lash line. 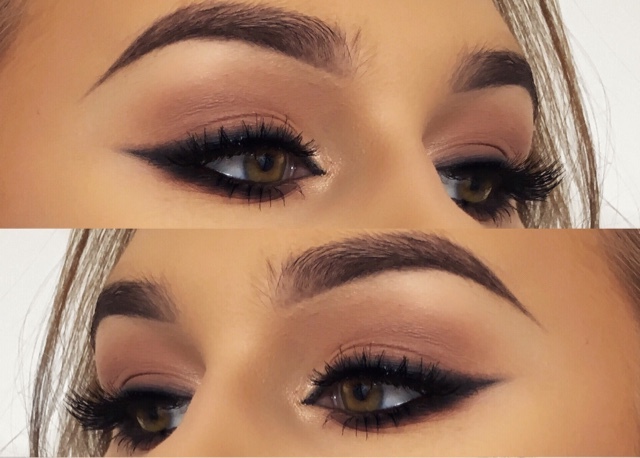 Then I repeated this step with the Corrupt eyeshadow but kept it closer to the wing itself. I then repeated this again with the Cyprus Umber eyeshadow and again with Corrupt to make sure that the original lines of the wing were seamlessly blended out. After this was complete I popped on some mascara and some Demi Wispie lashes! Let me know if you've used any of these products and what you think or if you have tried something similar yourself. See you soon!